The students of a Tullamore school have presented crates of food to a local charity. 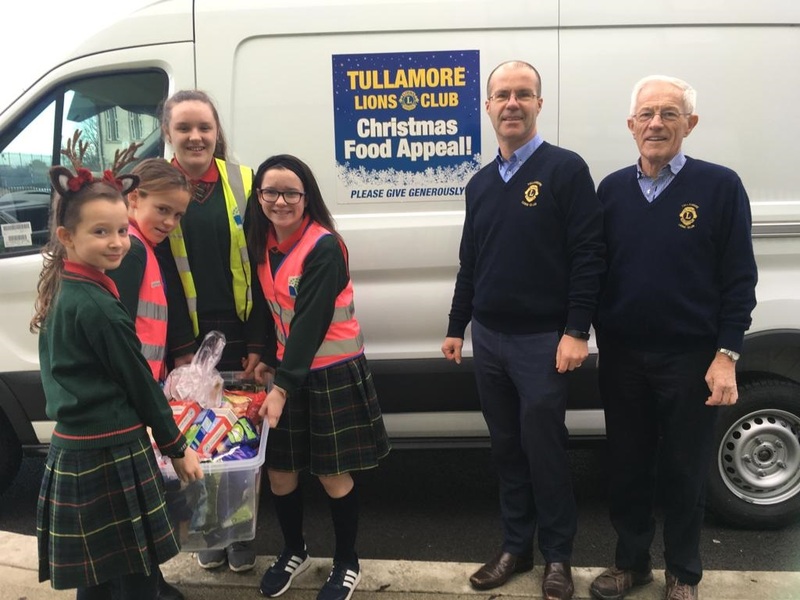 Students from Scoil Mhuire in Tullamore collected the food and presented it to Ronnie Colton and Michael Casey of Tullamore Lions Club. The Lions Club run an annual food appeal in the town. The school thanked all the students for their generosity and thanked the Lions Club for conducting this wonderful Christmas Food Appeal.